Welcome to Jimmie's Auto Supply website. 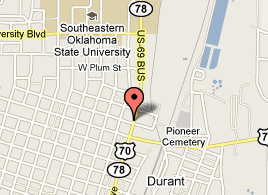 We are proud of the quality of parts we have provided to the Durant area for over 30 years. We continue to strive for excellence in service and customer satisfaction. At Jimmie's Auto Supply, we have the largest inventory in the Southeastern Oklahoma area. Making it easier for you to find the parts you need at the price you can afford. No matter what car or tractor part you are looking for our trained staff can get you going in the right direction. Jimmie's Auto Supply now offers online catalog and ordering. Please contact Lisa by e-mail at jimmiesauto@sbcglobal.net or phone for more information. All prices subject to change. Special listed above require acrobat reader.